Situated by the ocean, this apartment building is within 1 mi (2 km) of Raffs Beach and Barwon Heads Golf Club. Jirrahlinga Koala and Wildlife Sanctuary and 13th Beach Golf Links are also within 3 mi (5 km). 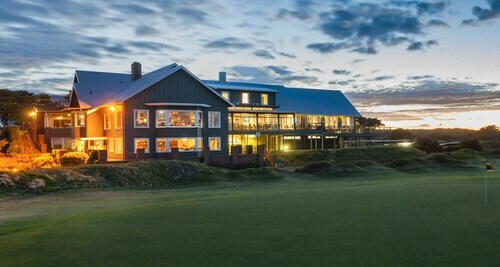 Offering direct access to the beach, this Barwon Heads hotel is next to a golf course and within 2 mi (3 km) of Barwon Heads Golf Club and Jirrahlinga Koala and Wildlife Sanctuary. 13th Beach Golf Links and Queenscliff Harbour are also within 12 mi (20 km). 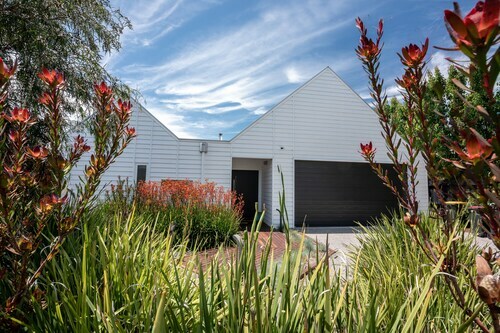 Situated by the ocean, this vacation home is within 1 mi (2 km) of Raffs Beach and Barwon Heads Golf Club. Jirrahlinga Koala and Wildlife Sanctuary is 1.4 mi (2.2 km) away. If you're planning a trip to Barwon Heads and looking for accommodation, you'll have a small selection of options at your fingertips. Book any of the 9 within 5 kilometres of the town centre. 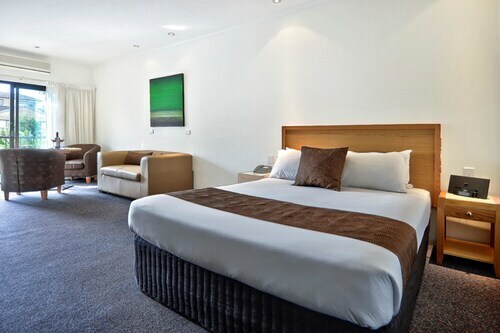 The Barwon Heads Resort at 13th Beach and Riverside Ocean Grove are a few of several fantastic hotel options that are pretty close to all the main areas. If you're ok with setting up base 18 kilometres outside of the city's core, check out the suburb of Portsea. It's got 4 hotels available, such as Mercure Portsea and Bayplay Beach Accommodation. Head along to Jirrahlinga Koala and Wildlife Sanctuary, where they work to promote the protection, happiness and well-being of their animals. 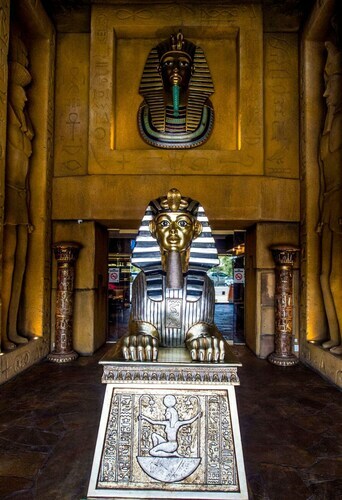 If you're interested in this attraction and would like to stay nearby, check out Seahaven Village and Barwon Heads Golf Club. 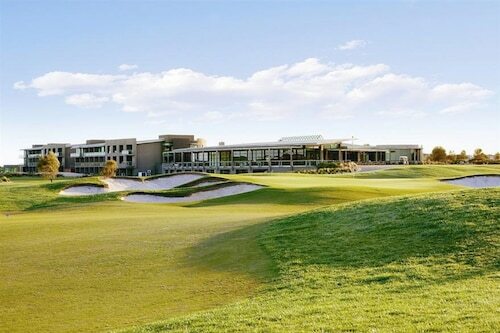 Go for broke or at least keep far from the sand traps at Barwon Heads Golf Club. You can spend time at this site whenever you like, especially if you stay at Bluewaters Apartments Ocean Grove and Boat Ramp Motel. If you find yourself needing more options in Barwon Heads, try the Retreats Victoria and the Starhaven Retreat. They are 13 kilometres and 25 kilometres away from the city's main streets. Others include the Peppers The Sands Resort, 13 kilometres away, and the Pelican Sands Bed & Breakfast, 20 kilometres. If you want to check out some nearby localities, check out Point Lonsdale and Point Lonsdale Beach. Head 10 kilometres to the east of Barwon Heads and you'll find Point Lonsdale. Alternatively, Point Lonsdale Beach is 11 kilometres to the east. Hotels in Point Lonsdale are the Point Lonsdale Guest House and Springhill House on Pardalote. The Athelstane House and Vue Grand are some of the choices in Point Lonsdale Beach. If you are into sports and want to see local games, you could take a trip to Simonds Stadium, which is situated to the northwest of Barwon Heads. Stay right near the action at the Quest Geelong or the Comfort Inn Eastern Sands. Tullamarine Airport is the nearest preferred airport, and is located 75 kilometres away from central Barwon Heads. 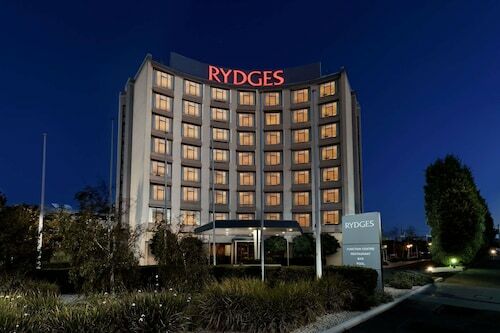 Conveniently located hotels on Wotif are the PARKROYAL Melbourne Airport and the Holiday Inn Melbourne Airport. How Much is a Hotel Room in Barwon Heads? Hotels in Barwon Heads start at AU$154 per night. Prices and availability subject to change. Additional terms may apply.